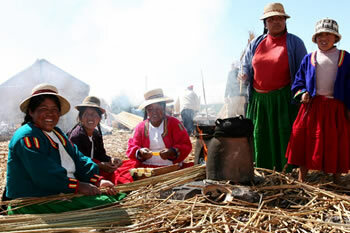 AM – After breakfast, we will personally pick you up from your selected hotel in Puno in order to head to the port of Puno to take boat transportation towards what is called The Floating Islands of the Uros. 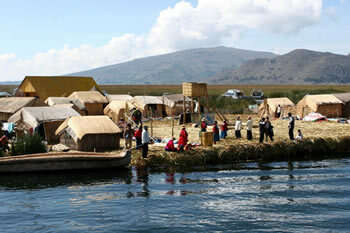 It is said that the ethnic Uros tribe has been inhabiting the islands for hundreds of years; the men of the tribe knew how to extract the abundant cane of the existing cattails and bind it in large quantities to then join them in order to form small islands as platforms. Within these artificial islands, actual inhabitants live; these people (millenials) – known as the water tribe – have to reconstruct these islands periodically by adding new layers of cattails because the passing of time calls for such reconstruction. The inhabitants’ homes, and their boats, are made of the same material. During our visit, we will visit native families and learn about their customs, as well as become familiar with their multi-colored fabrics and their clothing. We will even have the chance to walk around in one of their boats. Afterwards, we will continue our trajectory towards the Island of Taquile; the island is inhabited by native Quechua-speakers who have developed efficient work within the community due to everyone’s teamwork. In addition to this, the community has also implemented a system of product exchange that has been in use for generations; the community’s principal economic activity is agriculture – but, the natives are also expert weavers and craftsmen. 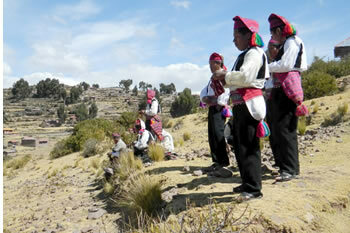 The same locals have directly participated in the bettering of touristic activities within the island without losing their ancestral customs. On the island, we will be able to enjoy a typical lunch that has its base in fresh fish. 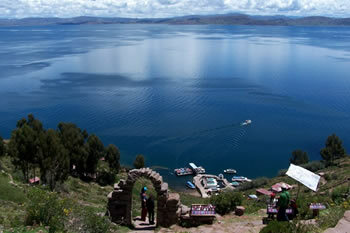 Included: Transfer to the port of Puno + Tour – Floating Islands of the Uros/Island of Taquile (shared touristic boat, tour guide, lunch, entrance fees).